Imagine talking to someone about God who had never heard of such a being. What would you say? 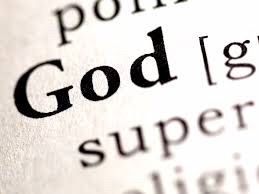 How would you describe God? What characteristics best communicate who God is? Or pretend you wee introducing God at a big fancy event to people who had never heard of God. What are God’s accomplishments, highlights or achievements? What would God’s biography look like? From this authors view, God is pretty spectacular. God speaks and calls out directly to the earth and people. God won’t be quiet. God is perfect in beauty and shines forth. God is a judge, but not your everyday judge mental judge. God is a judging is about bringing people in, not casting people out. And, God is apparently surrounded with lots of special effects (fires and storms and such)! Even if you didn’t know God, this introduction speech helps you understand that God is amazing and mighty, but also different and unique. What else do you see or hear about God in these verses? And how would you describe God that might be different than this speech? Take some time to write or journal your own introduction of God as if you were speaking to a friend or even an audience! You might find that you have a few poetic remarks up your own sleeve….maybe even a psalm of your own!